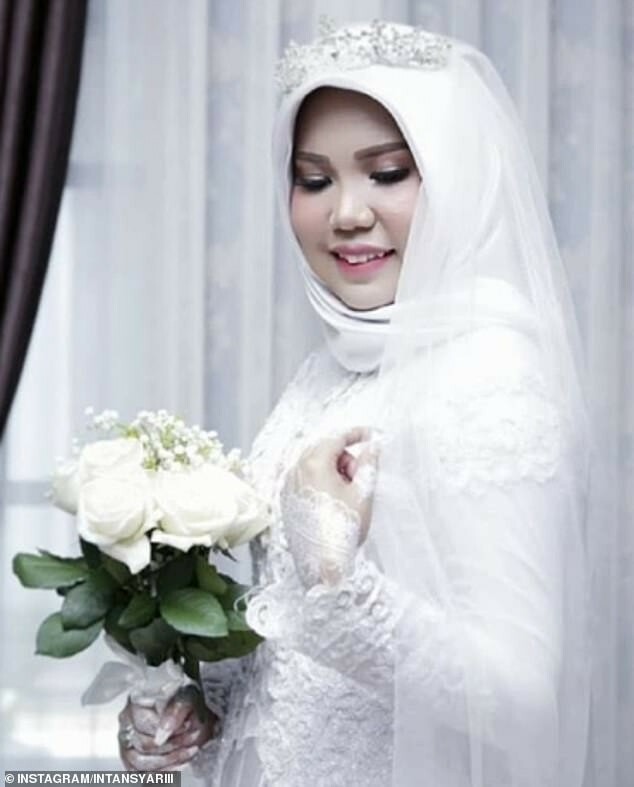 An Indonesian lady who lost her fiance in the Lion Air flight which crashed into the Java Sea on the 29th of October, just minutes after taking off from Jakarta, killing 189 people, went ahead with her wedding despite the death of her man. 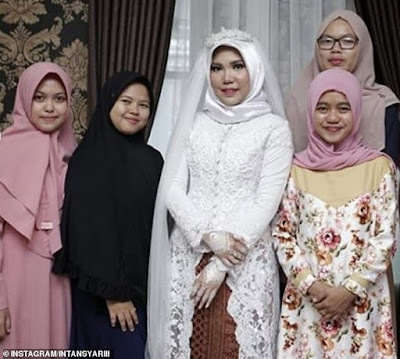 The heartbroken lady, Intan Syari was due to marry her childhood sweetheart Rio Nanda Pratama on Sunday but he died on his way home to Pangkal Pinang for their wedding day. 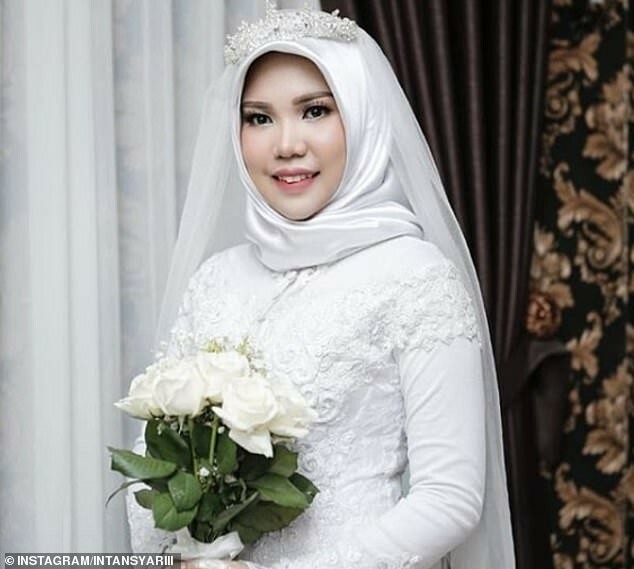 According to Syari, she wanted to fulfill his last wish, that was why she carried on with the wedding and posed for photos smiling while wearing her white gown and wedding ring. 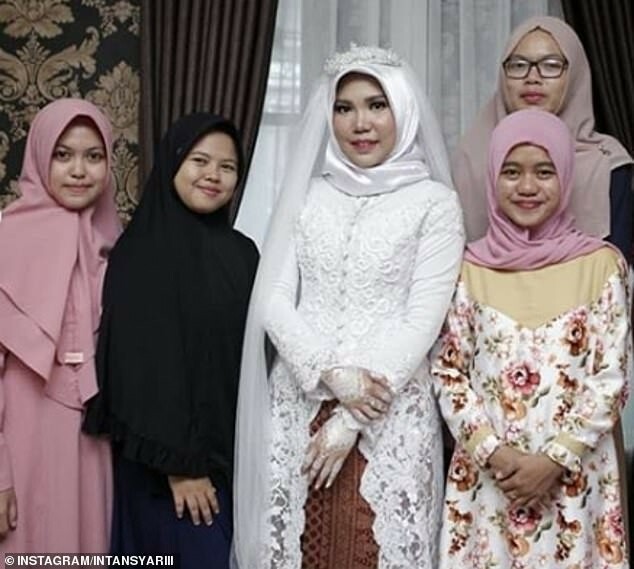 In one of the photos, the lady was pictured posing with her fiancee's younger sister in place of him. Ms Syari wrote on Instagram: 'Even though I feel grief that I cannot describe, I still have to smile for you. I cannot be sad but should be strong like you always told me to be. 'For you my lover Rio Nanda Pratama, thank you for giving me a sister who is so great, strong, smart, merciful and kind, just like you. 'Even though you were not next to me yesterday your loyal sister accompanied me to carry out your last most beautiful request. Ms. Syari also revealed that she had known Mr. Pratama, who was a doctor, since middle school when they were 13 years old, and described him as her 'first love'. 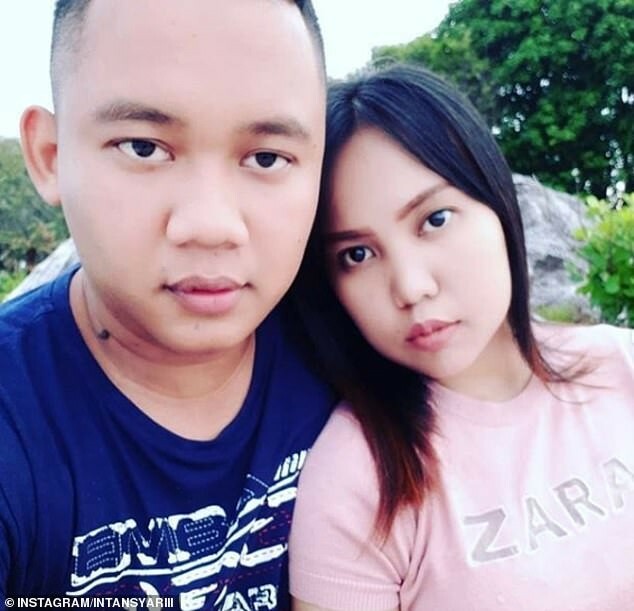 Mr. Pratama was said to have told her before his flight that 'If I don't return by 11 November, you should still wear your wedding gown that I chose for you.